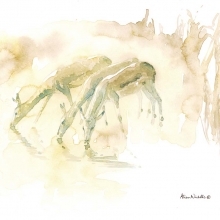 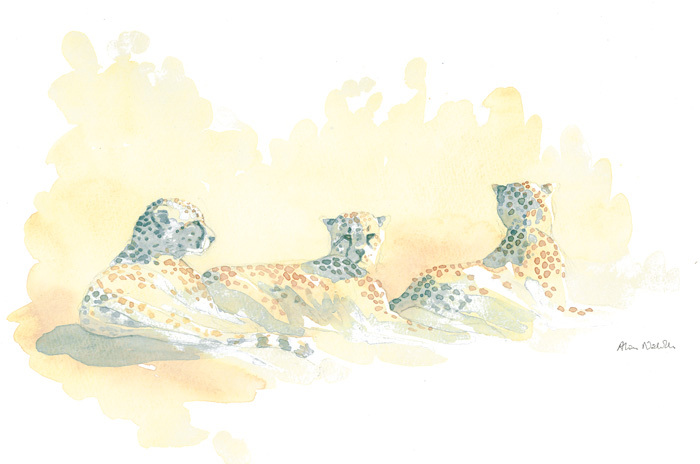 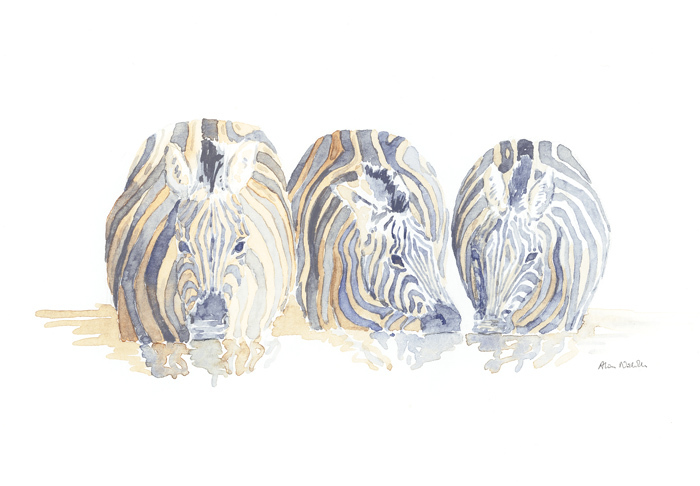 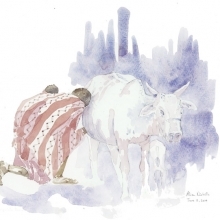 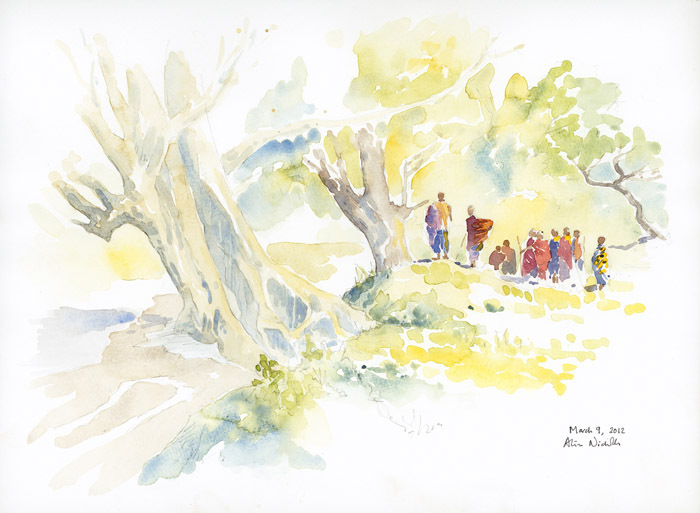 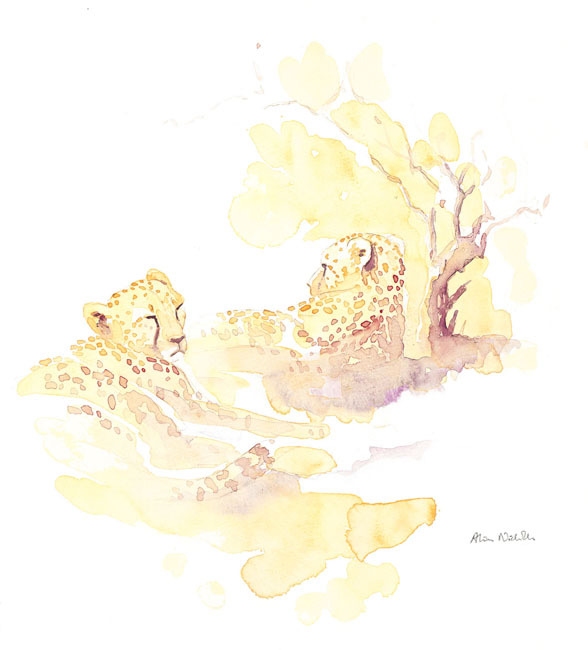 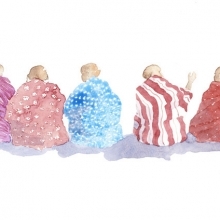 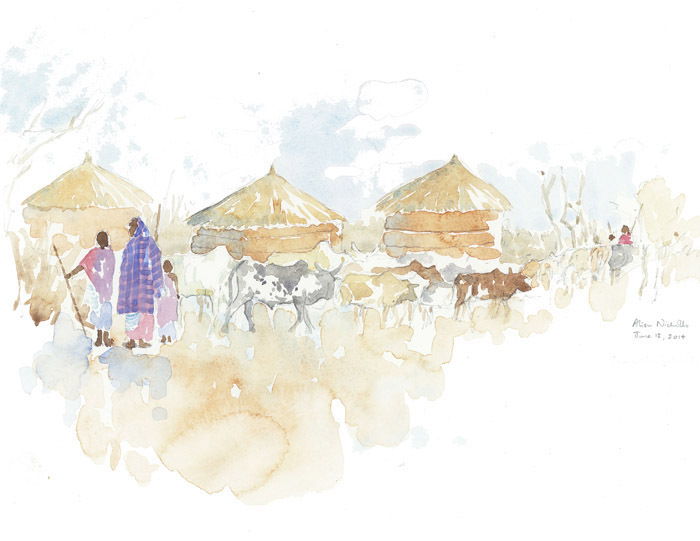 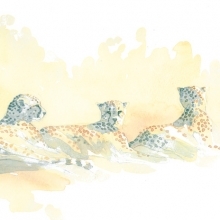 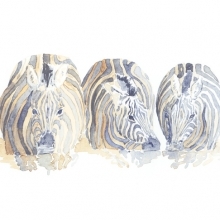 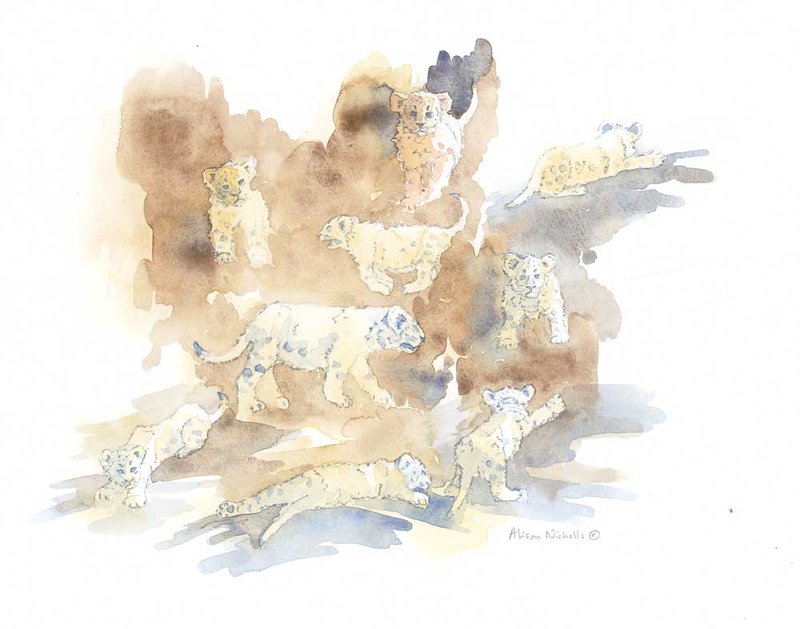 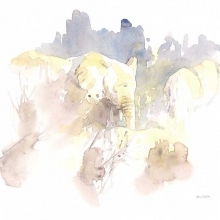 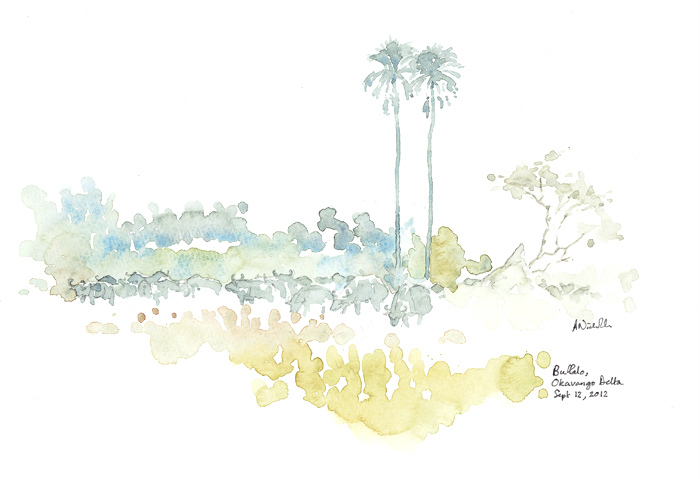 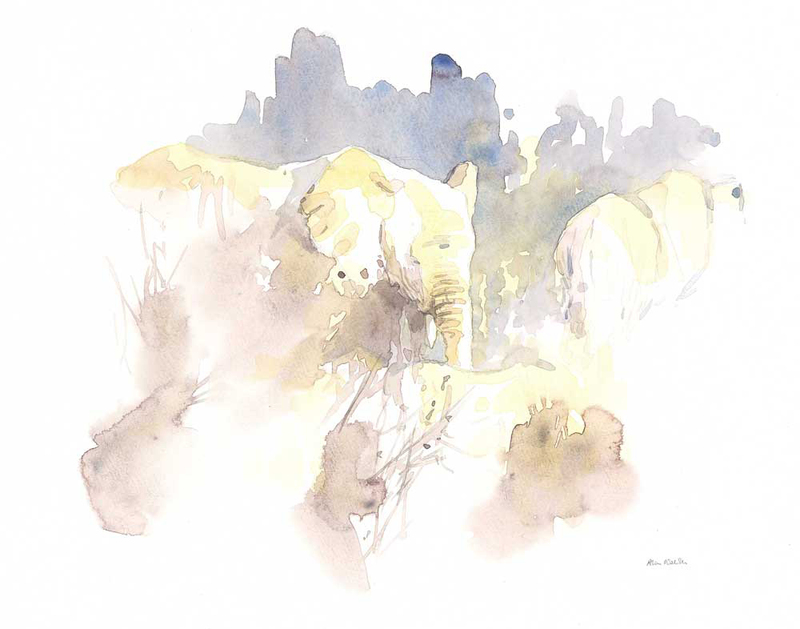 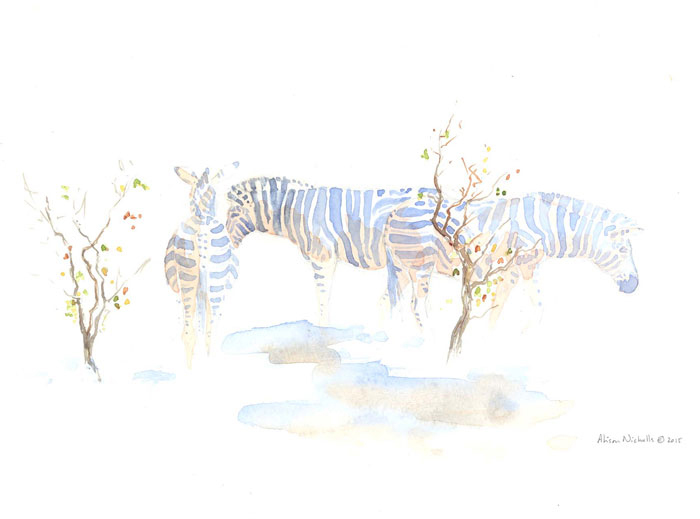 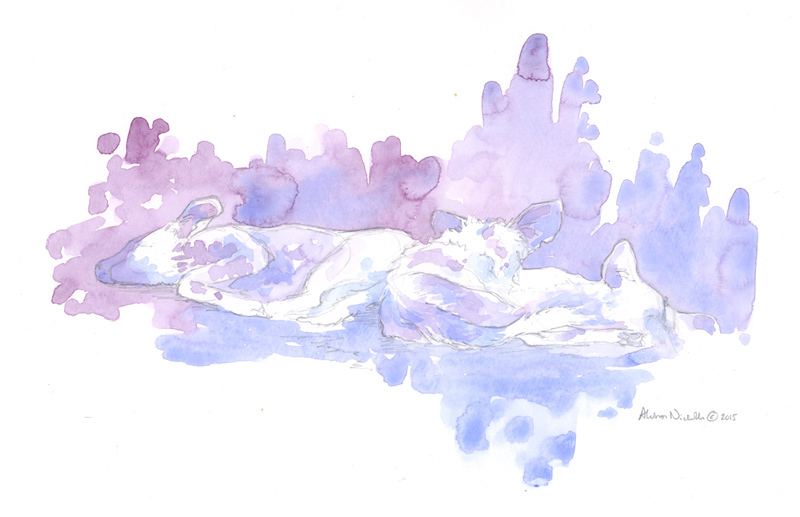 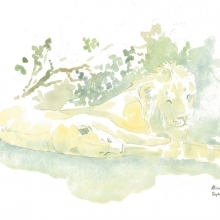 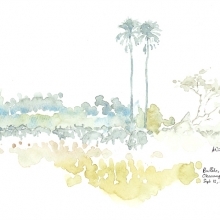 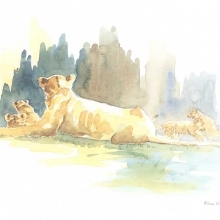 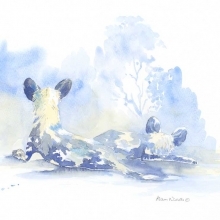 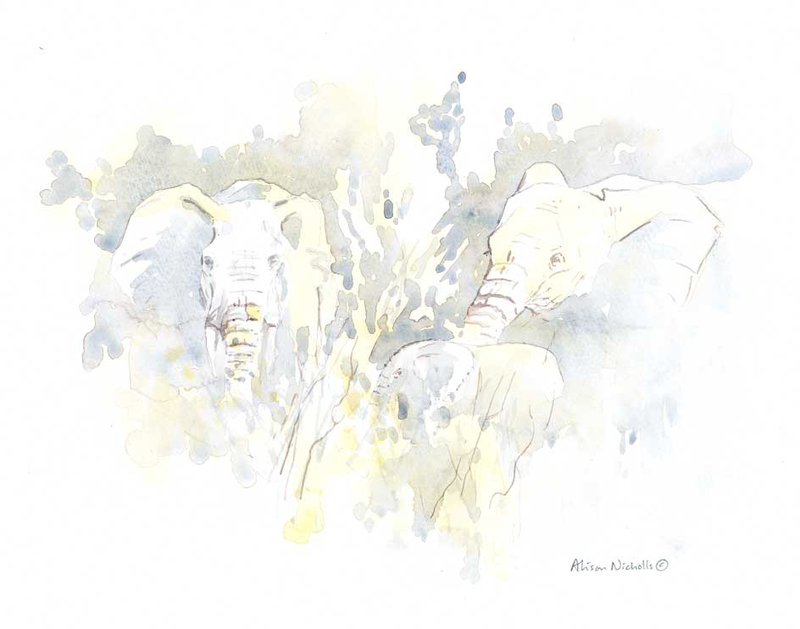 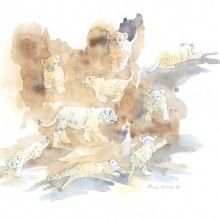 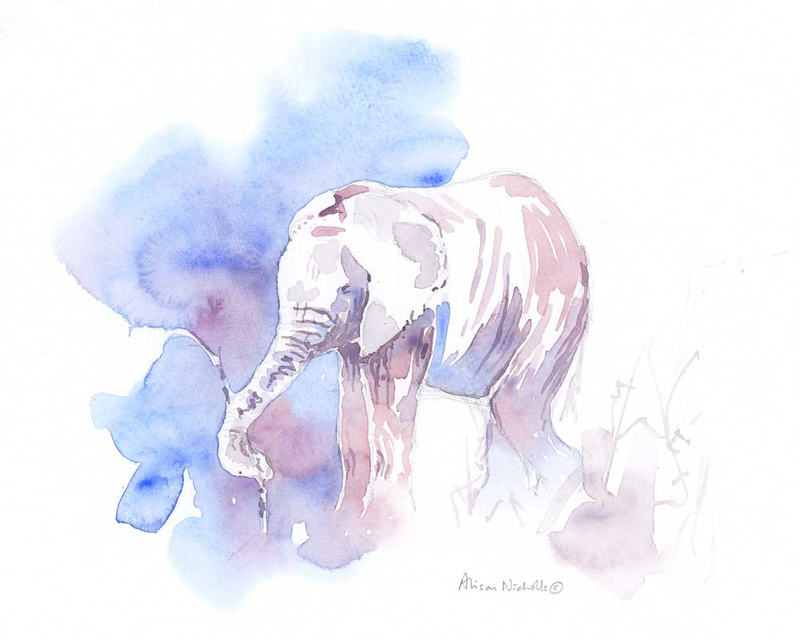 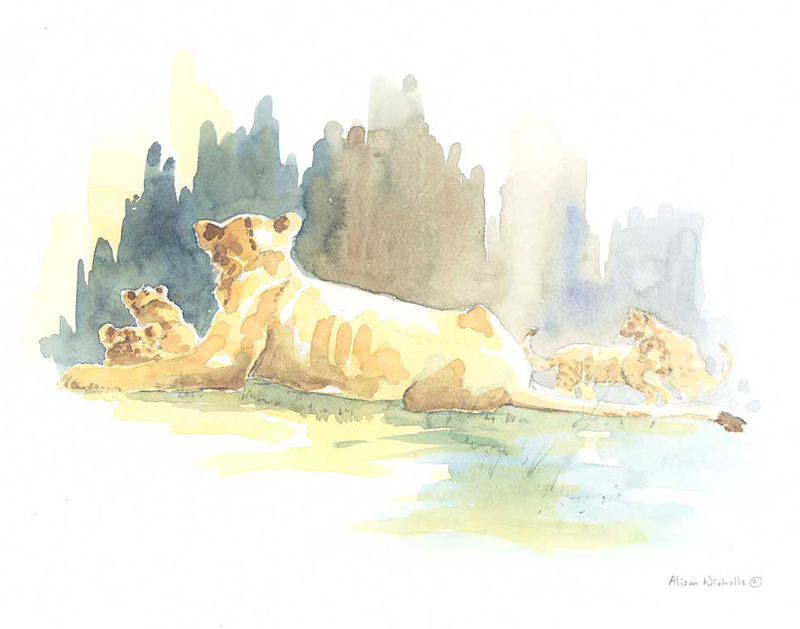 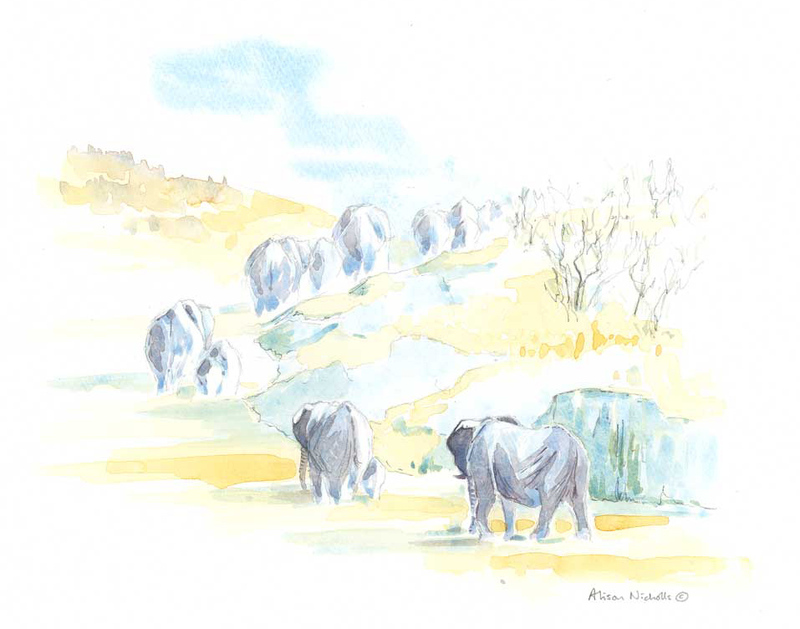 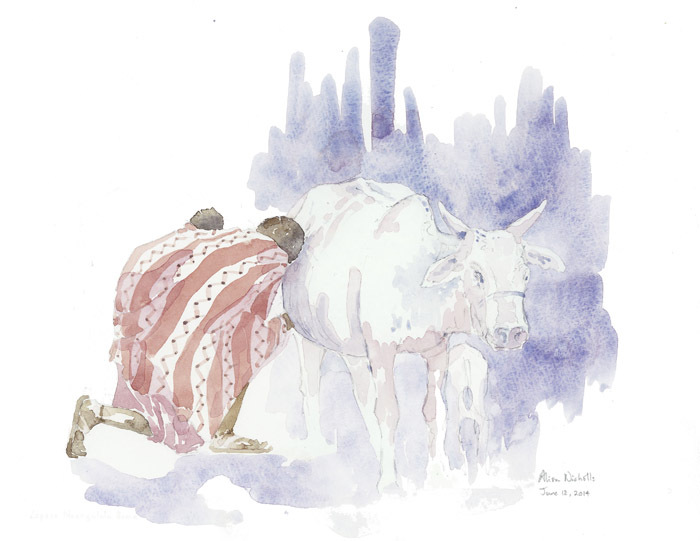 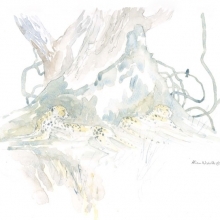 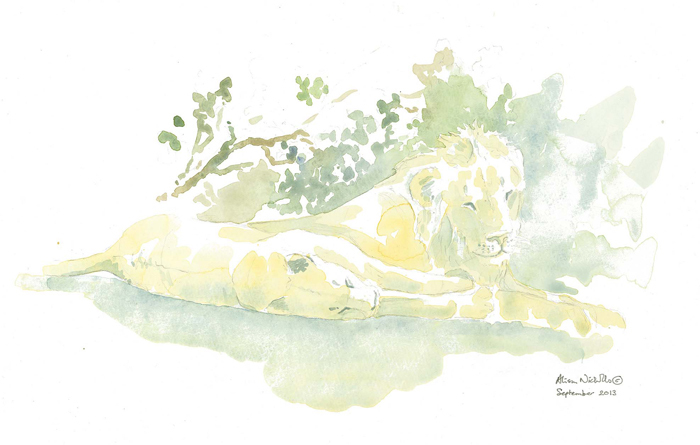 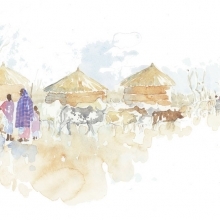 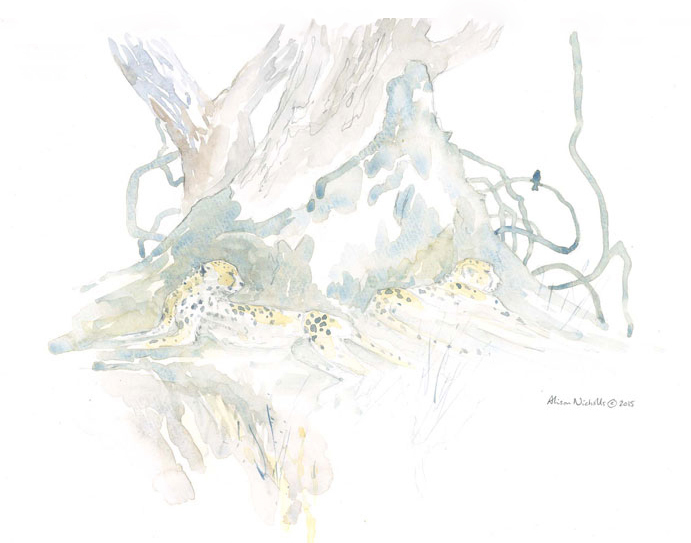 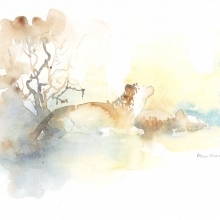 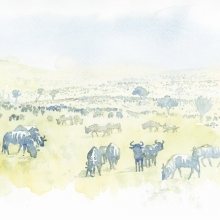 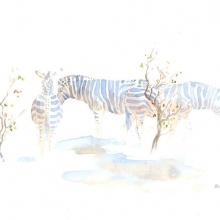 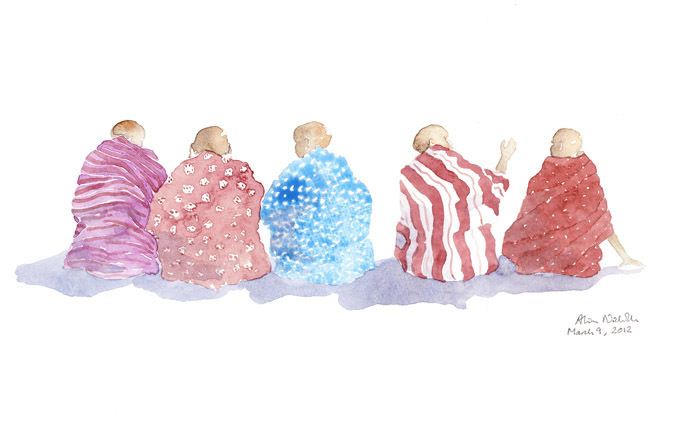 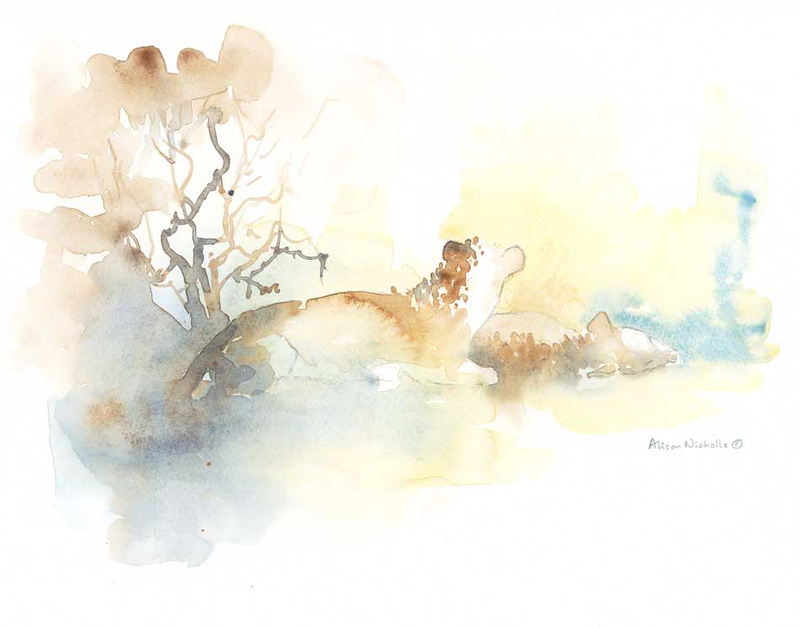 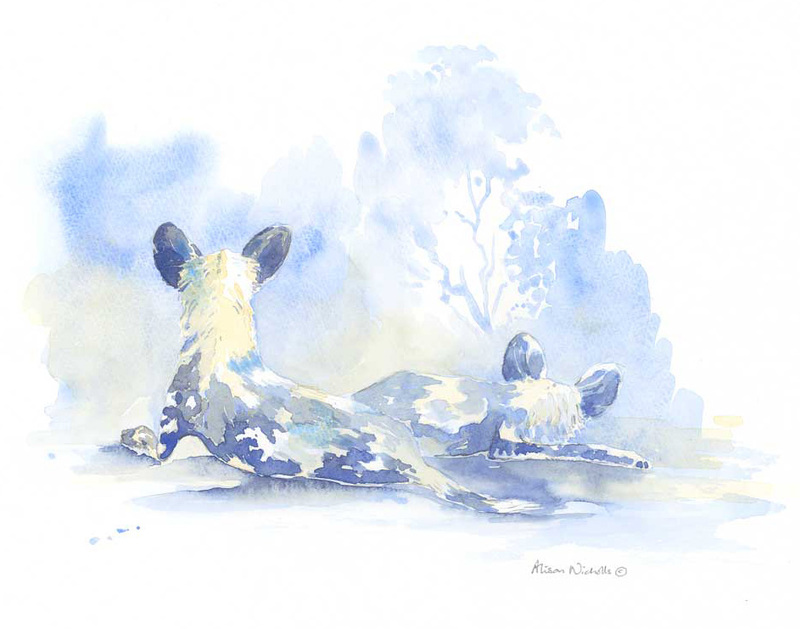 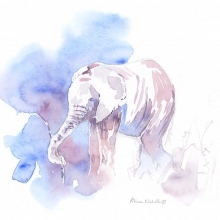 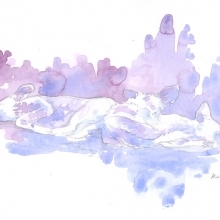 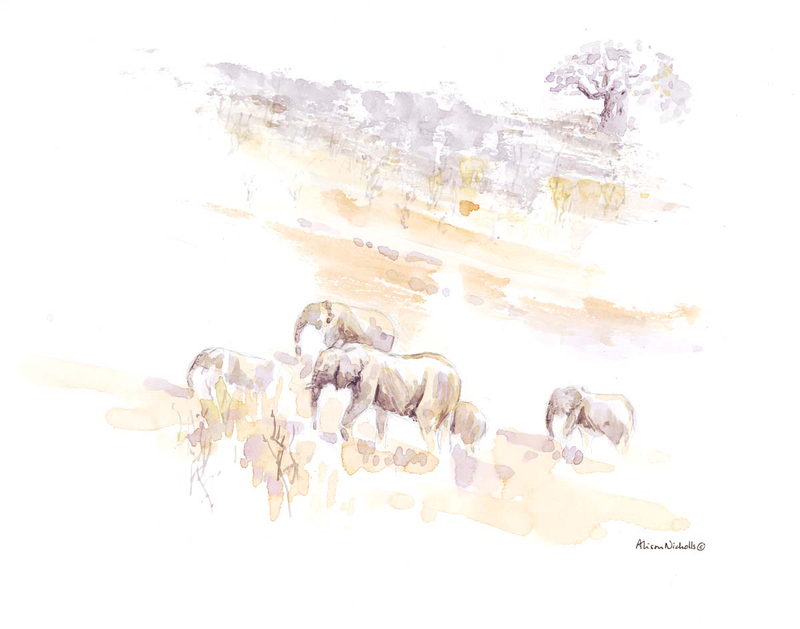 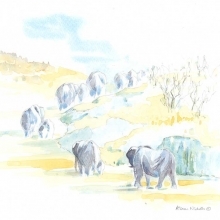 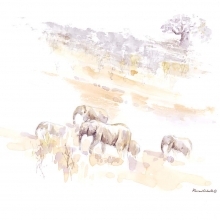 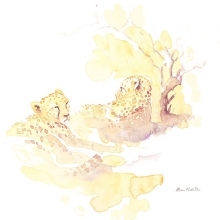 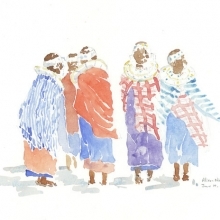 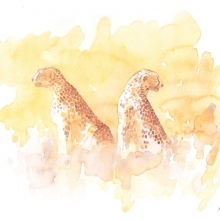 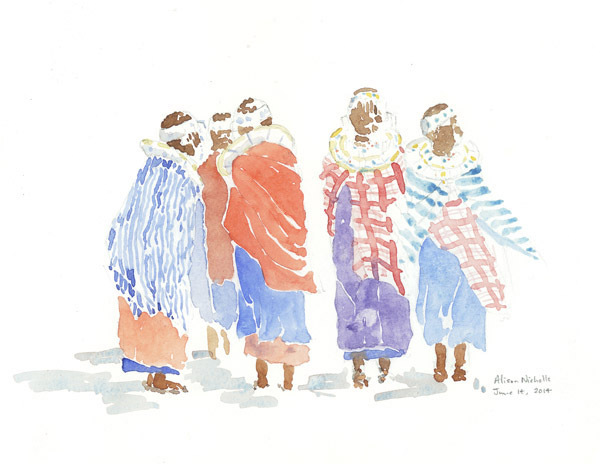 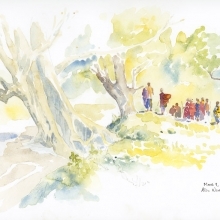 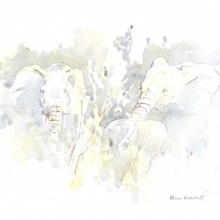 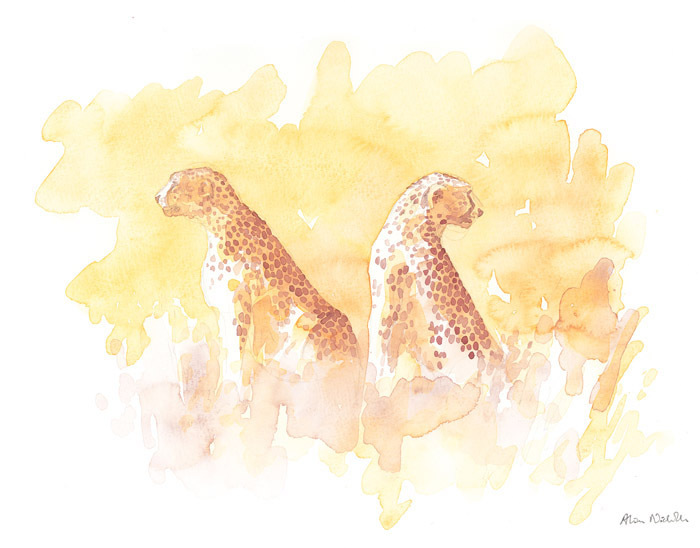 These watercolors are created in Africa by Alison Nicholls. 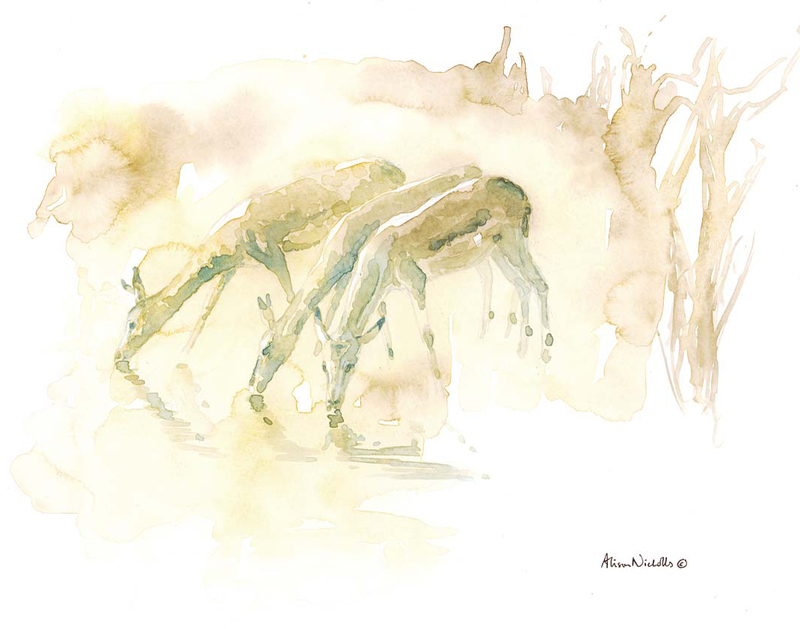 The subject is sketched from life and watercolor is added later from memory and imagination (without photo or video reference). 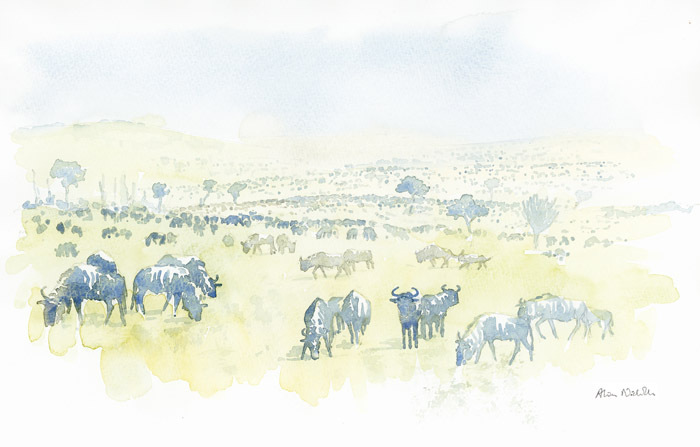 A donation is made to African conservation from every sale.